I love being festive and doing things for my friends, and holidays are always the most fun. 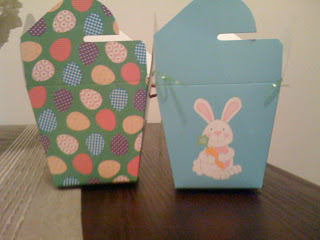 I had been resisting the Easter aisle at Target for a week and a half, so on March 31st I took myself to the store and bought some of these nifty Easter take-out boxes from the dollar aisle and filled them with goodies for my loves. I figure a lot of us out here are without family and some of us aren't lucky enough to go home for Easter (I however am finally going back after not spending Easter with my fam for almost three years). 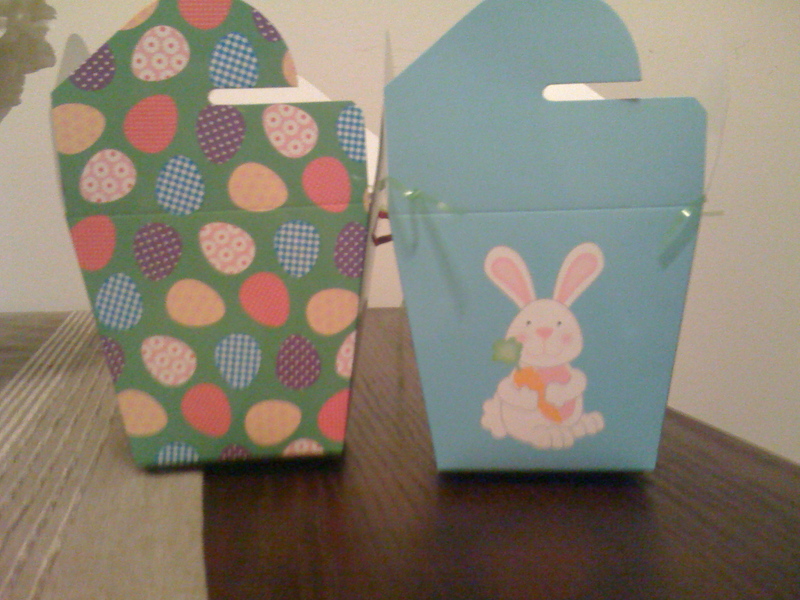 So these little boxes will help to keep the festive Easter spirit alive and remind of us of being kids again. 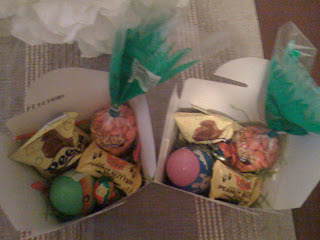 I stuck some Easter grass, along with a chocolate covered Peep, an egg filled with Starburst jelly beans, Reeses' eggs, two mini Cadbury eggs and a carrot of Reeses' Pieces. Then I folded up the boxes and refrigerated so when I handed them out the candy was nice and chilled!